Ann Gadzikowski | Bannor & Bannor Inc. Ann Gadzikowski | Bannor & Bannor Inc. 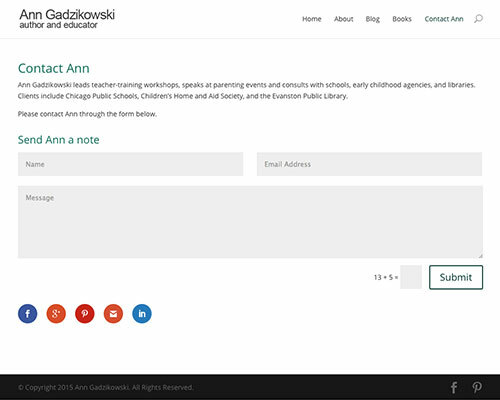 Create a new look for Ann’s website. Include a blog so Ann can announce her new books and write about different topics. 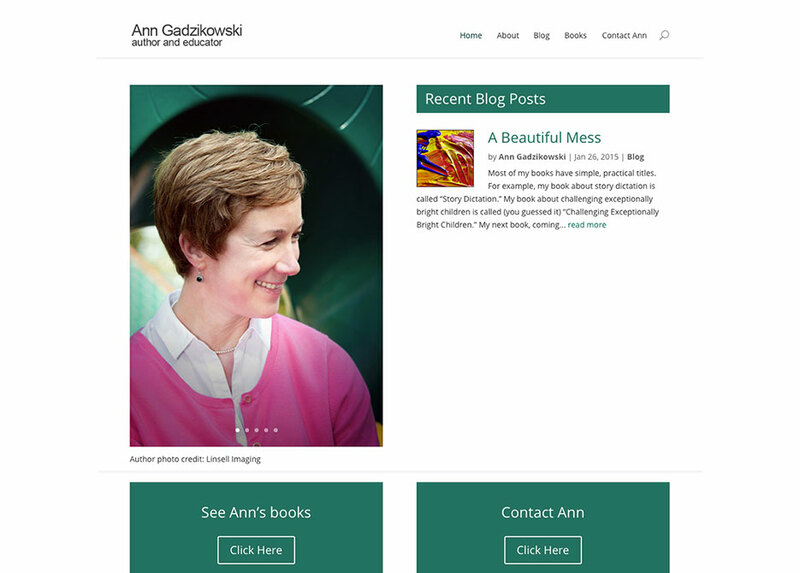 We worked with Ann Gadzikowski to update the look of her website and make it responsive – look good on computers, tablets and mobile phones. The top image shows Ann’s homepage. The side image shows Ann’s contact page. We created Ann’s website on WordPress to make the website easy for her to maintain and make changes.